Hosted email protection. Security, continuity and archive from a single dashboard. Protect your business from the escalating volume of email-borne threats. ControlEmail is powered by continuously updated security engines and filters to identify and block virtually all spam and malicious threats before they reach your network. Real-time message source analysis checks IP reputation and reacts to incoming mail, as well as uses multiple signature-based and pattern recognition technologies to analyze mail contents. How much of your job is consumed by the hassles and headaches associated with an escalating amount of email-borne threats? ControlEmail enables you to stay on top of this issue. Our continuously updated security engines and filters identify and block virtually all spam and malicious threats before they reach your network. The payoff? Your systems routinely run at peak performance. Experience robust email security and continuity, managed from our intuitive, web-based control panel. It's easy to get started - configure our solution, authorize users to control their protection preferences or just "set it and forget it" - in minutes. There's nothing to install. ControlEmail simplifies email management with a single control panel for managing and protecting your business communications. It works seamlessly with any on-premise or cloud-based infrastructure. ControlEmail is a highly intuitive and adaptive cloud-based security service that enables you to easily manage and protect your email systems from one console. 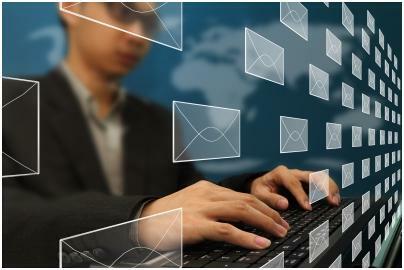 Our solution uses traditional and cutting-edge technologies to enhance email protection and features built-in continuity that ensures uninterrupted service if your email infrastructure is offline. The option to add archiving, which is fast becoming a business necessity, is also available. In minutes, you can configure the ControlEmail system to meet your business requirements. Ongoing email management is also simplified with the ControlEmail online console. Accessible from any web browser you will be able to easily control whitelists, block domains and signatures. Individual users can also manage their junk preferences online or via the daily digest.